This morning we arrived in Delhi, India. After an absolute mare trying to find our arrival transfer we finally got on the road towards the hotel. The drive itself was an experience, with 6 lanes of cars squished into a 3 lane road. Nobody sticks to lanes and nobody indicates there’s just a lot of beeping and cars with dents! Once we arrived at the hotel and had a nap we were ready to meet the rest of our tour group with G Adventures. 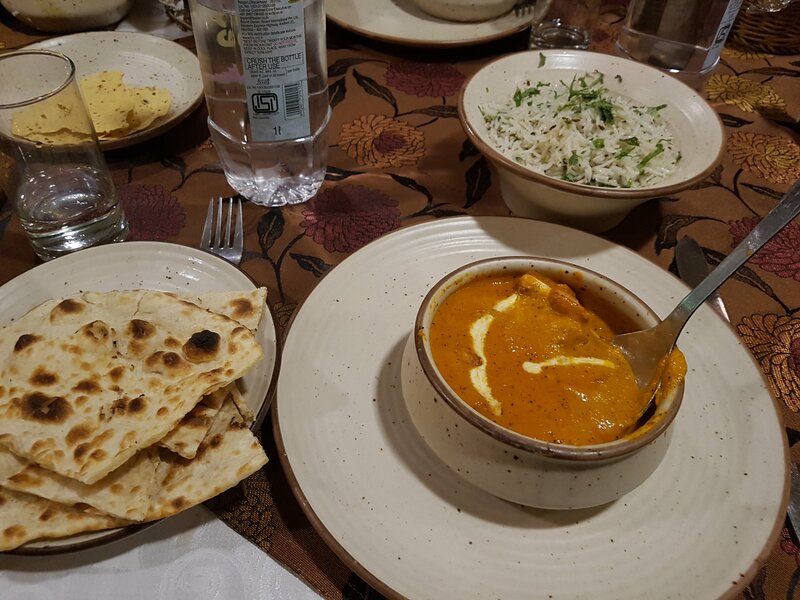 We had a welcome meeting with Mandy our CEO (chief experience officer) and all went for curry. There are 6 Americans, 2 Norwegians, 2 Australians and 3 Brits including Ben and I. The culture difference was obvious from the beginning with people staring but it became more real as we walked to the restaurant tonight, with people lighting fires on the street and kids trying to sell you balloons (a little girl followed me for a good 5 minutes hitting me with them). Tomorrow we head for a street tour of Delhi and into Old Delhi before the long ride to Agra begins!